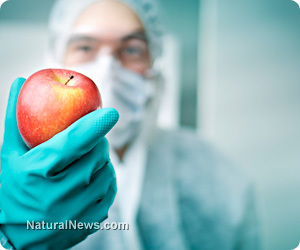 (NaturalNews) There is a lot of shady business going on in Africa these days, where so-called "biotech ambassadors" are now actively touring the continent and aggressively pushing for acceptance of genetically-modified organisms (GMOs) and other biotechnology interests. As explained in a groundbreaking new report published by GMWatch.org, pro-industry hacks, like British climate change activist Mark Lynas, are literally going around trying to force GMOs on African farmers, while at the same time relaying back bald-faced lies to Western nations about how GMOs are already saving lives and ending hunger throughout Africa. The developed world has been spoon-fed the lies of the pro-GMO agenda for years. Without GMOs, we are constantly told, there would not be enough food to feed the planet, crop yields would be far lower and require heavier and more constant applications of pesticides and herbicides, and the whole of agriculture would collapse ... or something dramatic along those lines. But nothing could be further from the truth, and people like Mark Lynas, who falsely claims to be a "former founder member of the global anti-GM movement"-turned-GMO advocate, should know this -- that is, if Mark Lynas actually is who he says he is. Jonathan Matthews from GMWatch.org seems to think Lynas is hiding quite a bit about who he actually works for, and these suspicions are well warranted. According to Matthews' thorough investigation into the matter, Lynas has repeatedly refused to disclose how he is able to fund all his galavanting throughout Africa, for instance, which includes staying in fancy hotels and participating in lavish speaking engagements about the alleged advantages of transgenic crop technologies. Lynas clearly has a vested interest in promoting GMOs, in other words, but, at the same time, claims to have never accepted a dime from the likes of Monsanto for his efforts. A corporate shill for Monsanto or just an ignoramus? As evidenced by his many partnerships and alliances, Lynas is not exactly the grassroots saint that he portrays himself as, and most definitely has some kind of connection with the biotechnology industry. Pro-GMO groups like the Open Forum on Agricultural Biotechnology in Africa (OFAB), which partners with the Africa Agricultural Technology Foundation (AATF) and the International Service for the Acquisition of Agri-biotech Applications, are openly connected with other pro-GMO groups like the Bill & Melinda Gates Foundation and the "Big Five" biotechnology corporations, all of which endorse and promote Lynas' work. "The lack of transparency about his own funding, and his disingenuity about those who support him, is given added piquancy by his repeated attacks on the European funding of African groups who raise concerns about GM crops," writes Matthews, adding that Lynas has hypocritically gone to great lengths in recent days questioning the funding sources of groups trying to protect Africa from GMO onslaught. "How is their funding such an issue for Lynas but that of the groups funded to promote GMOs in Africa by the U.S. and Monsanto isn't?" If this is not bad enough, Lynas has also spent much of his time in Africa and elsewhere spreading lies designed to bolster more support for GMOs. At a recent speaking engagement in Africa, for instance, Lynas tweeted on Twitter a little ditty about how GMOs are needed in Tanzania to protect cassava plants against viruses. In his tweet, Lynas claimed, "There are no conventional ways to achieve virus resistance," which is completely untrue, as conventional, non-GM breeding methods already being used in that area have led to incredible success against viruses.